4 (the opposite wing) flashes to the top of the key. 1 floats to the wing. 2 dribbles in front of 4. 2 reverses his dribble as 5 cuts to the elbow. 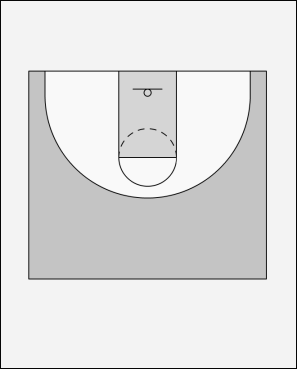 When 2 passes to 5, he and 4 move to set a staggered screen for 1. 5 gives a hard look to 3 who cuts backdoor. If 3 doesn't get the pass from 5, he cuts back to the corner. 5 dribbles at him and 3 back cuts again. This is the play that beat UCLA in the NCAA tournament in 1996.